Join us for the annual Heritage Parade from Noon – 1:30 PM, then come play with us at Summer Streets. We’ll open up Rainier Ave S (from S Alaska to S Brandon St) to people on foot and bike! More details to come. Rainier Ave, between S Brandon & Alaska 98118 – Take the Lightrail to the Columbia City station and walk east 3 blocks to Rainier Ave S.
Making Rainier Ave your playground for a day! Celebrate the cultures of Seattle’s most diverse neighborhood during this weekend festival with a parade, street party, park entertainment and fun. Enjoy food, games, music, and friends from around the world! 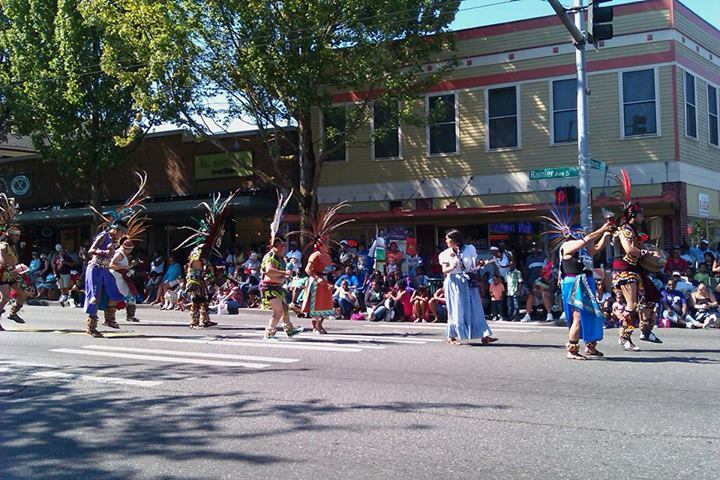 Parade features entertainment that will delight with “heritage” as the theme and Summer Streets Party will emphasize “Re-imagine your Street” with music, art, food and playful fun right down the middle of Rainier Ave! A number of sites, including the Rainier Valley Chamber of Commerce’s Facebook page for the event, still confusingly lists 2012 date…the main RV Chamber of Commerce page lists the 2013 details. If anyone has a site with more specific and up-to-date details, be sure to share in the comments.